Before touching upon manufactured home loans, we will first elaborate on manufactured homes. Manufactured homes are factory-built homes based upon permanent metal chassis. These homes are moveable after installation. However, moving the home after installation interferes with financing. Manufactured homes are required to meet the safety standards set by HUD (also known as the HUD Code). The home meets the Model Manufactured Home Installation Standards. The home is both a vehicle and a property. Hence, the county or state registers the motor vehicle. The home, on the other side, classifies as real estate since it is titled Real Estate. To qualify for the loan, the manufactured home must be a one-unit family dwelling. Furthermore, the lender requires that the home and the land on which the home resides also consist of this one-unit family dwelling. The home is placed on a rental site in a manufactured home park. As part of a rental site, FHA requires the park and the lease agreement to meet their guidelines. The borrower leases or owns the home situated on an individual homesite. In order to qualify for an FHA mortgage, the property has a minimum of 400 square feet in floor area. In order to qualify for a conventional loan, on the other hand, the property has a 600 square feet in floor area. A manufactured home has each section of the site permanently affixed. The home meets FHA standards if it also has its wheels and axles removed. It is important for the home to have the HUD Construction Code Label, which is a red metal plate with silver lettering, permanently attached to the rear exterior siding of each section. The owner must have the HUD Data Plate or the Compliance Certificate. This is a paper document containing the manufacturer’s name and trade or model number. It also includes pertinent information about the unit, such as a list of factory-installed equipment. Title I manufactured home loans are not Federal Government loans or grants. The government is not there to protect lenders against a default, which make these loans risky. There are certain caveats lenders require the borrower to meet. For starters, private lenders grant credit based on the applicant’s ability to repay the loan in monthly installments and their credit history. A FICO credit score of 580 is usually the general requirement. In addition, the borrower must be able to demonstrate a healthy income to make payments for the loan and other expenses. Next, the buyer must be able to make a downpayment of at least 3.50% on the home they intend to occupy as their principal residence. The borrower and lender negotiate interest rates that are required to be fixed for the entire general 20 year-term of the loan. 3CALoan can help you find a mortgage loan fitting your personal and housing needs. We have developed comprehensive manufactured home loans that require the customer to have a minimum FICO credit score of only 580 and make a down payment of 3.50%. Furthermore, our downpayment assistance program can provide assistance to new homebuyers with mortgage costs. Our competitive rates, efficient services, and talented team can help ease the process of purchasing a manufactured home. We help our customers every step of the way. We prioritize informing and educating our clients about the home buying process. Our client’s happiness and confidence upon closing a deal reflects our excellent quality services. 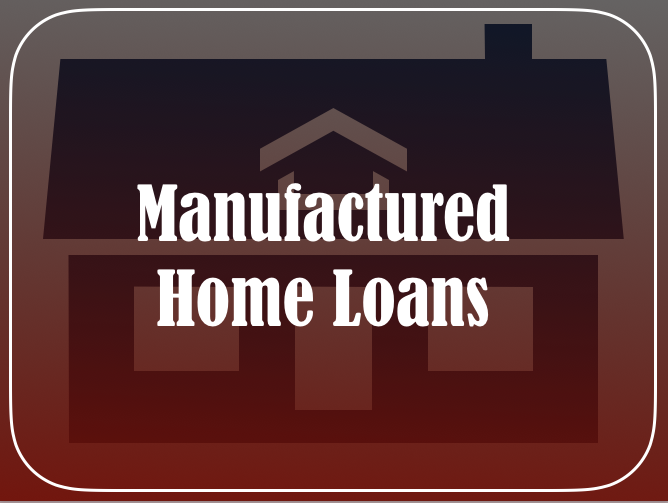 To find out more information about manufactured home loans and how we can help, contact us at (818) 322-5626.